mix-and-match game to build Android characters. 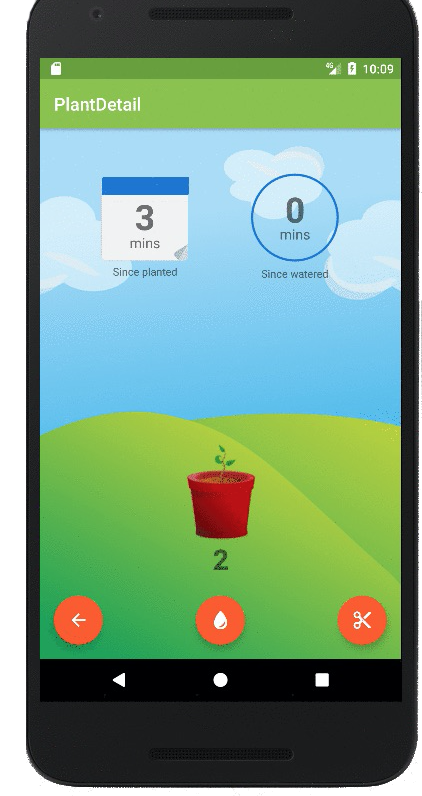 app that uses widgets to let users plant and water virtual plants. silence your phone where a loud notification would spoil the mood. Studio. Finally, the course covers how to publish your app to Google Play. before taking the advanced course. Go build some awesome apps! Start learning now at https://www.udacity.com/course/ud855.